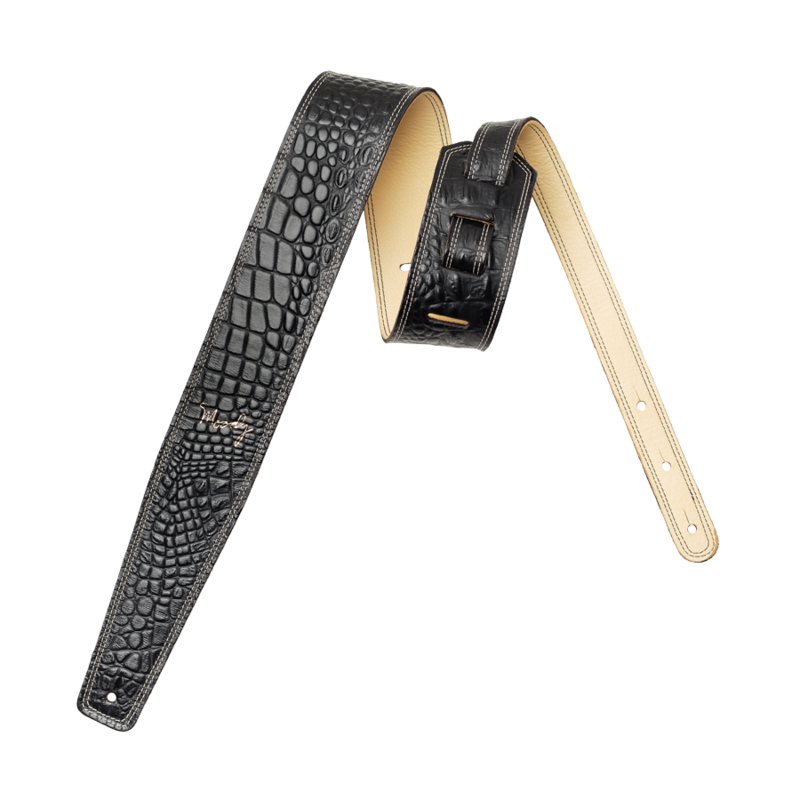 Spoil yourself with our top-of-the-range brown and cream faux gator leather backed guitar strap from Moody Leather. Our must-have guitar accessory comes in standard, long, and extra long configurations. Handmade in the United States, our 2.5-inch guitar strap comes with distinctive reinforced double stitching and is guaranteed to look and feel great on your shoulders. Finally, a guitar strap that’s made for expensive guitars!